We all like to think of celebrities as the perfect role models. They’re successful, talented, beautiful, and rich beyond imagination. Who wouldn’t want to be one of them? As everyone knows who they are, they are constantly under the public’s watchful eye – so they have to be especially careful about how they conduct themselves. This is why they can often be perceived as almost perfect, always poised and collected, always saying the right thing and looking absolutely flawless as they strut across that red carpet. All we can really do is try to remember that somewhere, below all that makeup and fancy outfits, they’re just normal people like the rest of us. Some of these celebrities were even bullied when they were children, or they were very unpopular in high school – which makes them all the more relatable to us. But some of them… well, they were just as awesome in their high school days as they are today. We can totally get why these celebrities were voted to their homecoming court, because it’s impossible not to love them. So just to feel a little worse about ourselves, we decided to look at the old pictures of some of these beloved celebrities. Keep reading to see what they looked like, back when they were chosen to be queens and kings of their homecoming. Halle Berry is one of the most talented and beloved actresses out there, and a true trailblazer. 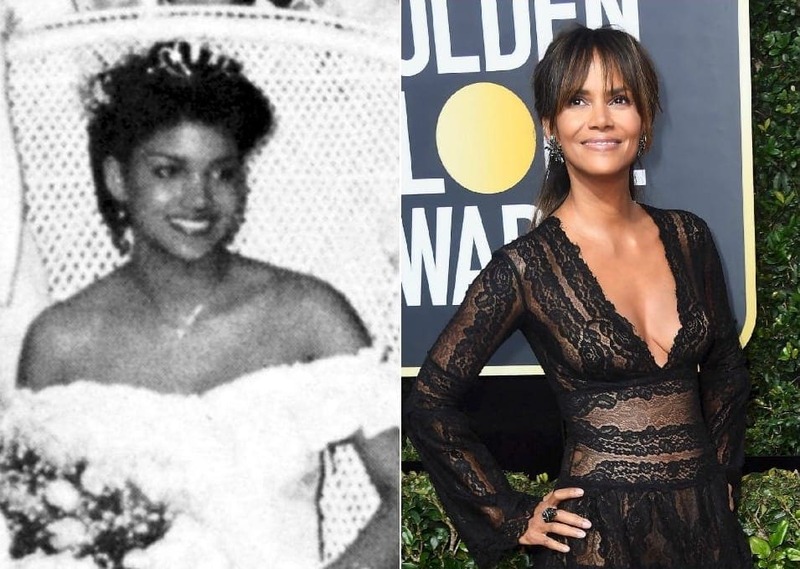 Halle wasn’t only the first African American woman to have won the Oscars for best actress (for Monster’s Ball), but she was also the first African American girl to become homecoming queen of Bedford high school, where she attended as a teenager. We think it makes perfect sense that Halle won the race for prom queen – is there anything this woman can’t do? The actress looks stunning as ever in her prom dress and tiara, and to be honest, we would definitely vote for her to be our prom queen if we went there. Dakota Fanning began as a child actress, and was earning enough money to last a lifetime by the time she was in high school. Many child actors don’t finish their high school education because of their job, and because they don’t feel like they really need it as they’ve already acquired a profession. 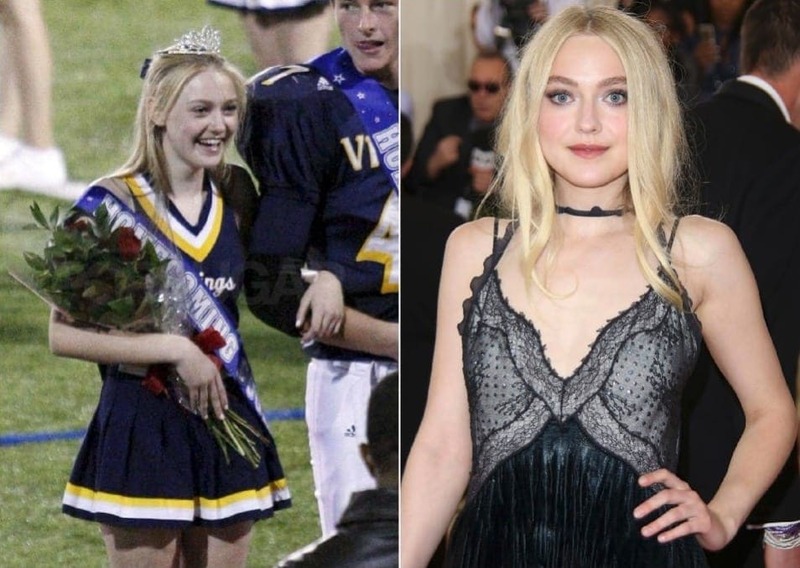 But Dakota Fanning not only graduated from high school, but was also voted to be prom queen in 2009 and in 2010. Dakota looks so cute in her cheerleading uniform, and has definitely grown up a lot since her high school days, into a talented young woman with many roles under her belt. There’s no doubt it’s only the beginning of a great career for the starlet. Before she played Glee’s Quinn Fabray, who was totally popular at William McKinley High School, Dianna Agron was apparently not one of the shy kids of her own high school either. Her fellow students loved her enough to crown her as their prom queen, but we certainly hope she was a little nicer in high school than the character she played on Glee. Well, actually, we’re sure she was – just look at that sweet smile. JoAnna García has been acting since she was only 13 years old, and has taken part in shows like Party of Five, Freaks and Geeks, Reba, and Gossip Girl, with her most recent role as Ariel in the ABC fantasy show Once Upon a Time. The beautiful actress made time for her studies while keeping up an acting career, and rocked this magnificent tiara when she was voted as prom queen of her high school. Who doesn’t love Meg Ryan? Meg has been an American Sweetheart since she made us fall in love with her, in movies like When Harry Met Sally…, Sleepless in Seattle, and You’ve Got Mail. Meg was apparently also beloved by the people she went to high school with, as they picked her to be their homecoming queen. The starlet was a striking beauty from a young age, as you can see in this homecoming photo. She’s Meryl – what else can we say? There’s a reason why Meryl wins awards for everything she does, and it’s because she’s amazing in everything she does. She’s one of the greatest actors in the world and a source of inspiration, but apparently she’s also very outgoing and funny, as one of her high school friends described her. 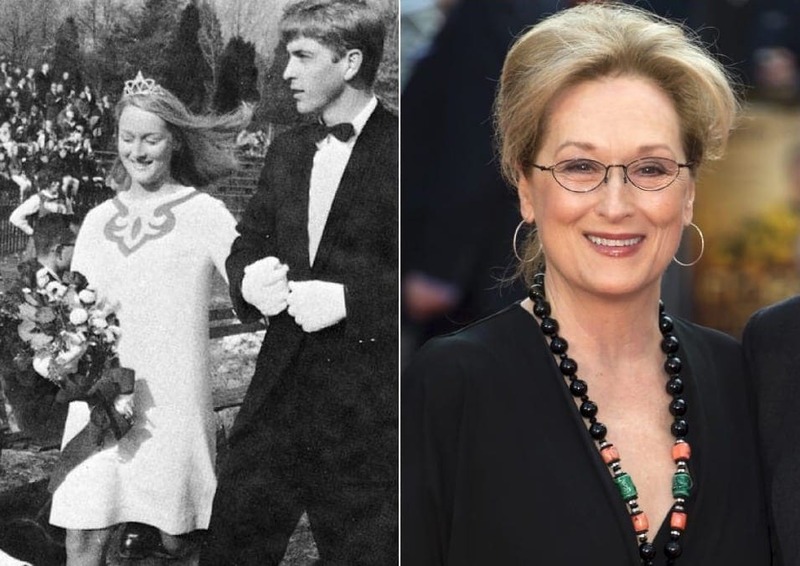 It’s no wonder to us that she won homecoming queen of her high school as well – she’s Meryl Streep, y’all. Right before she launched her successful singing career, Jessica Simpson was several time homecoming queen in high school. This doesn’t come as much of a surprise to us either, since Jessica doesn’t only seem like a total sweetheart, but also very down to earth. She’s your everyday southern belle, with a mean talent for music and that signature Texan beauty. Eight months before earning her GED, Jessica was already signed with music executive Tommy Mottola. Heather Morris is yet another Glee star who rocked the homecoming queen prom in high school. The Arizona raised starlet graduated from Desert Mountain High School, before realizing she needed to move to Los Angeles in order to pursue her acting career. She’s mostly known by her role of Brittany S. Pierce on Glee, but as she’s been dancing from a young age, it was only a matter of time before she ended up on Dancing with the Stars – where she made it until the sixth week. 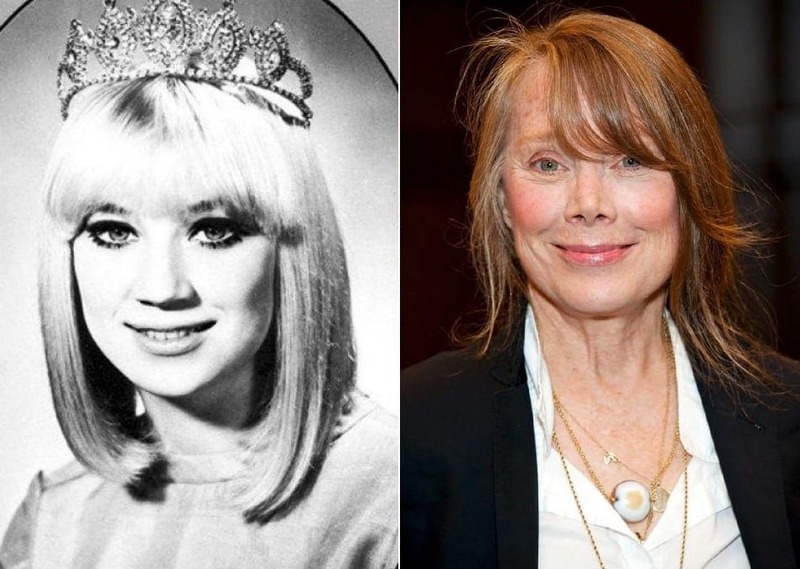 Sissy Spacek is mostly known for playing Carrie in the movie of the same name – and there she suffered a very different fate in her high school homecoming, as her fellow students completely humiliate her. In real life, Sissy’s experience was far from it. She was chosen by her peers as the high school’s homecoming queen, when she graduated back in 1968. Sissy looked absolutely beautiful in her tiara, just before kickstarting her acting career. 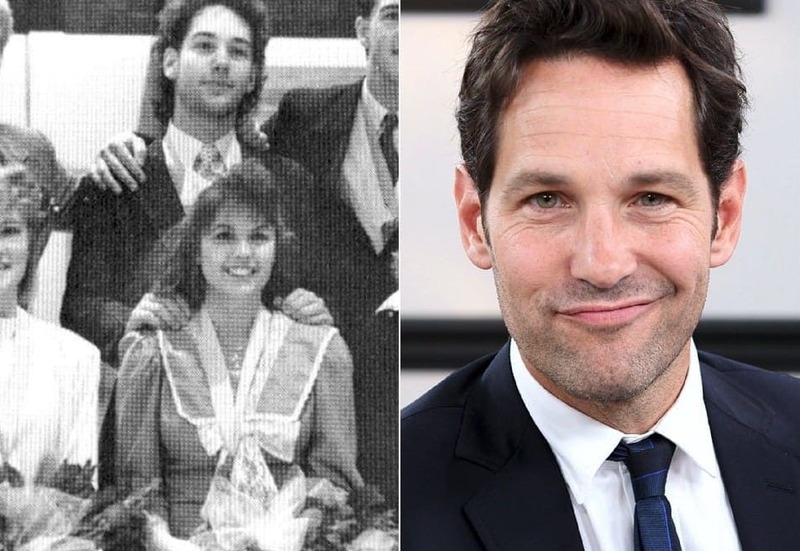 It’s really only logical that Paul Rudd was a member of his homecoming court in high school. Everyone loves Paul Rudd, because not only is he straight up hilarious, but he also seems like the nicest guy. The Ant-Man star graduated from Shawnee Mission West High School in Kansas, back in 1987, and later moved on to study theater at the University of Kansas. By 1992, he was already in the beginning of his successful acting career. 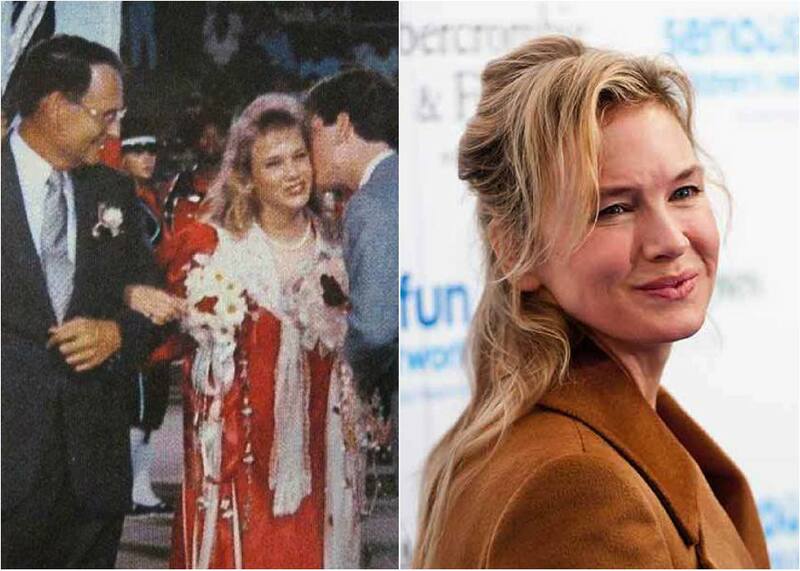 The hilarious actress (and daughter of the legendary musician Quincy Jones) looked amazing as she won the crown in the Sherman Oaks Buckley School back in 1993. The starlet is a self professed geek, who was mostly interested growing up in computers and books, and who also went on to attend Harvard after graduating from high school. The lovely Rashida is the ultimate proof that you can have it all – brains, beauty, and a homecoming crown. Debra Messing is another actress we absolutely love. She was raised in Rhode Island and attended East Greenwich High School, where she was very much involved in theater productions. She played the lead role in several productions, such as Annie and Grease. And apparently, she also won the hearts of her fellow students, since they crowned her homecoming queen. She was also Rhode Island’s Junior Miss, back in 1986, several years before receiving her first TV role. When you think of the former blink-182 member, you don’t really get vibes of homecoming king, right? 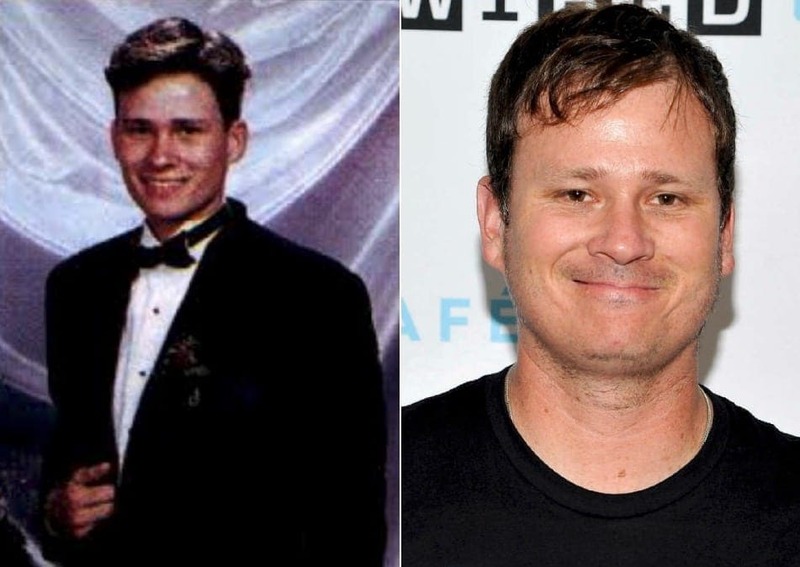 But you’ll be surprised to know that before he was rocking it with the famous band, Tom DeLonge was actually the king of his high school back in 1993. He actually formed the band while he was still in high school, along with drummer Scott Raynor and bassist Mark Hoppus. The band broke up back in 2005, but DeLonge will always be king to us. Come on, you didn’t really think Robin Wright was really like her House of Cards character, Claire Underwood – did you? Claire may be calculated and manipulative, but in reality, Robin is apparently quite the opposite. She was even elected as homecoming queen of Taft High School in Woodland Hills, Los Angeles. She was already a model back then, but after high school she landed the role of Kelly Capwell in NBC’s soap opera, Santa Barbara. Paula Abdul is practically homecoming queen material. She’s bubbly, she’s colorful, she’s super nice, and she makes everyone straight up fall in love with her. So it’s really no wonder that she was voted prom queen in 1980. 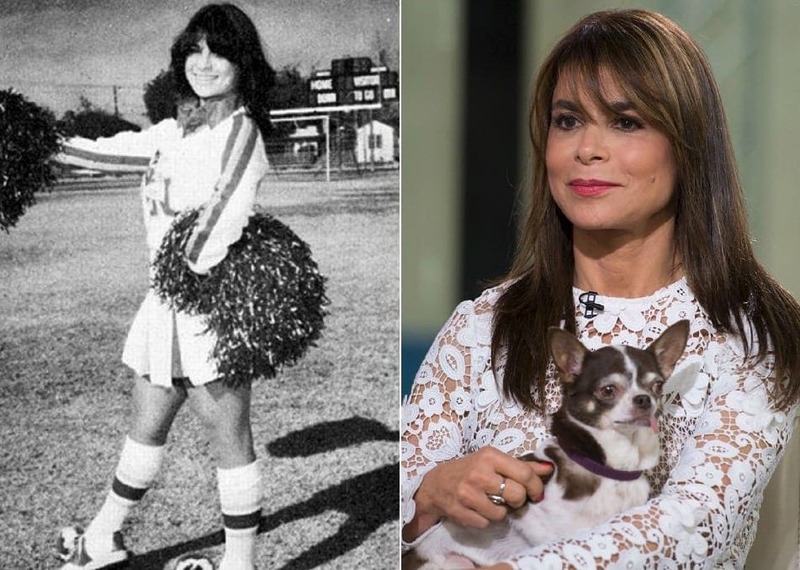 The singer was also a cheerleader, as well as an honor student in Van Nuys High School, where she graduated from. Paula had already begun her career by then, as she received a dance camp scholarship when she was only 15. Back in 1988, the gorgeous and talented Taraji P. Henson was also the queen of the Maryland high school she attended. After finishing high school, the Empire actress attended the North Carolina Agricultural and Technical State University, and actually studied electrical engineering, before realizing she wanted to study drama – and transferring to Howard University. 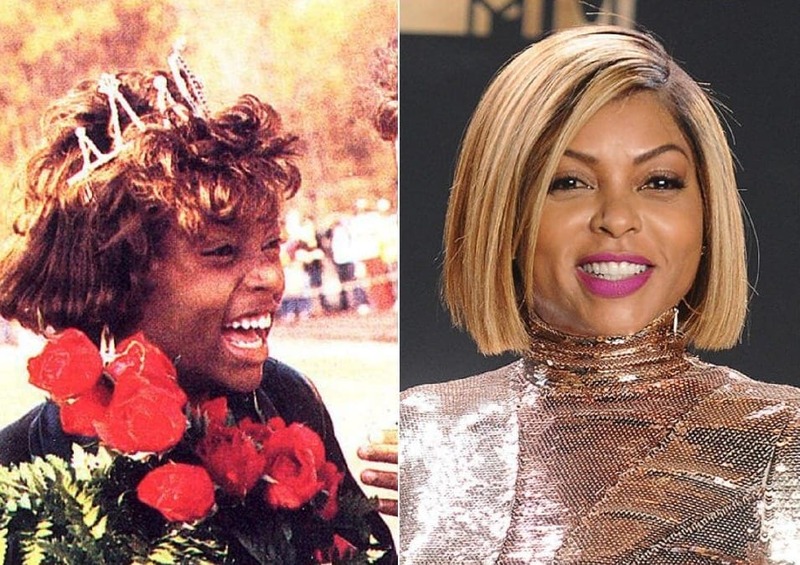 Today Taraji is a true rising star, but she was already receiving positive attention back then in her high school days. 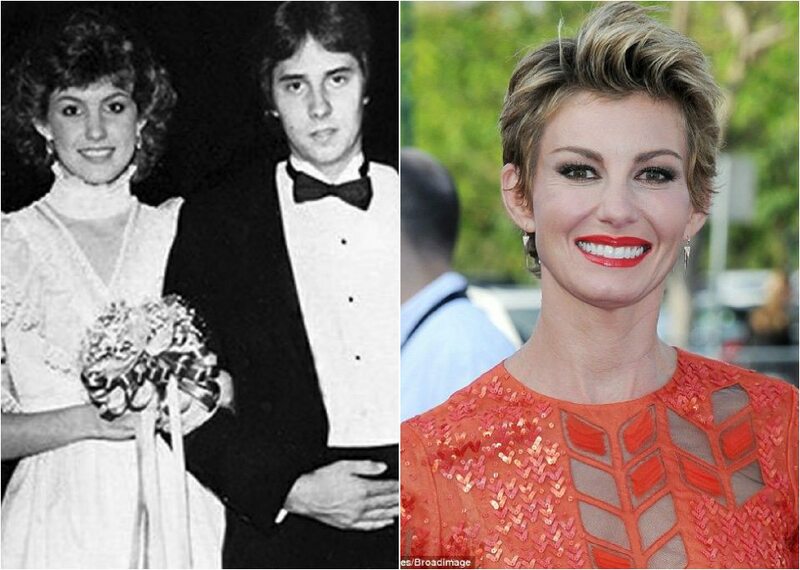 Well, her date to homecoming wasn’t Tim McGraw, but Faith Hill was still voted to be homecoming queen when she graduated high school back in 1986. The Mississippi born country singer has since shot up to fame and married fellow singer Tim McGraw – after which the two became a true power couple in the industry. Their conjoined musical tour in 2006 became the highest grossing country tour ever with over 90 million dollars in profit. 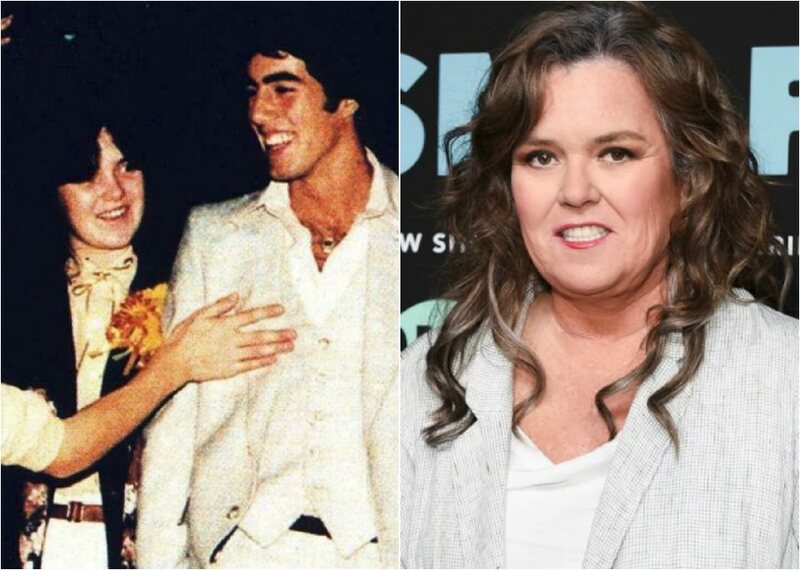 Rosie is one of the funniest women in show business, and we love her for being sharp and outspoken. Apparently, her fellow students at Commack High School in Long Island, New York, loved her as well – because they voted her not only as homecoming queen, but also prom queen, the senior class president, and class clown of her high school! That’s very impressive, but we’re not surprised, since the comedian and actress is great at everything she does. Before she was the adorable yet ridiculous Bridget Jones, Renée was actually crushing it in high school. The star attended Katy High School in Texas, and was a gymnast, a cheerleader, and a member of the speech team and the drama club. She also did quite a lot of sports, including soccer, baseball, basketball, and football. And all that before being elected homecoming queen in 1987! We knew the Texas born actress was talented, but now we see that would be a complete understatement. Meghan Markle will be officially royalty in just a few days when she marries Prince Harry, but wearing a tiara will not be anything new to her. The Los Angeles native was crowned homecoming queen in 1998. 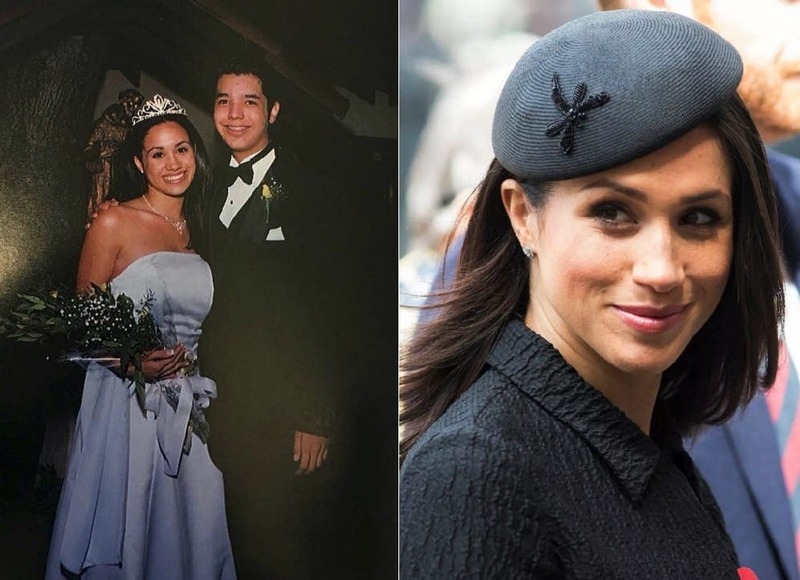 Markle looks like she was born to be royal even back then so it’s no wonder that she is about to be. The next time she wears a tiara will be on May 19th, but she will be sporting a white gown rather than this lavender prom dress.